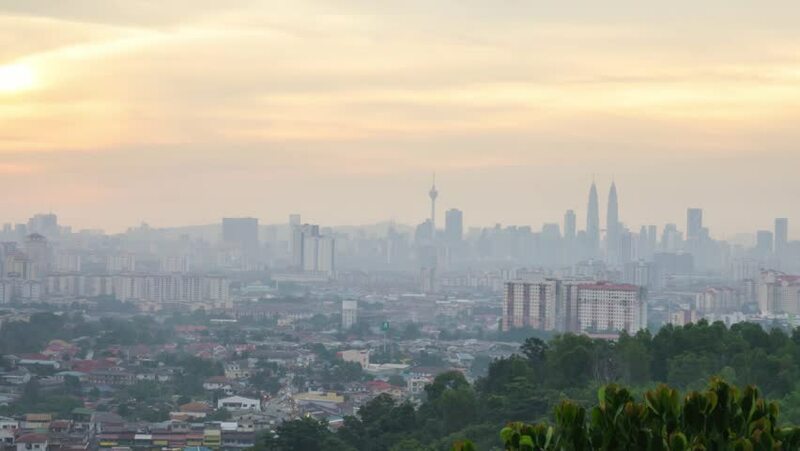 Kuala Lumpur city scape during haze sunset. 4k HD footage. 4k00:09Aerial drone lapse hyperlapse of sunrise at Kuala Lumpur city skyline horizon. Cinematic establishing b-roll shot of drone flying over Kuala Lumpur Federal city.